Her day-by-day account of the weeks that follow vividly chronicles the unprecedented displacement of thousands of Americans, and on a personal level, describes how her family makes the trifecta of major life decisions: where to live, where to work, and where to enroll their children in school. 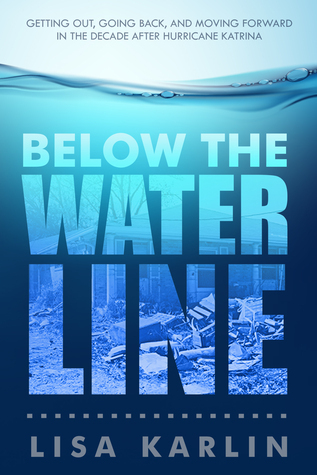 With unflinching candor, Lisa Karlin provides a first-hand commentary on how everyday life has been impacted by Katrina’s aftermath and how, a decade later, there are still lingering effects of one of the most devastating events in American history. The book contains never-before-published photographs of Hurricane Katrina’s aftermath and is being released on the tenth anniversary of Hurricane Katrina (August 29, 2015).